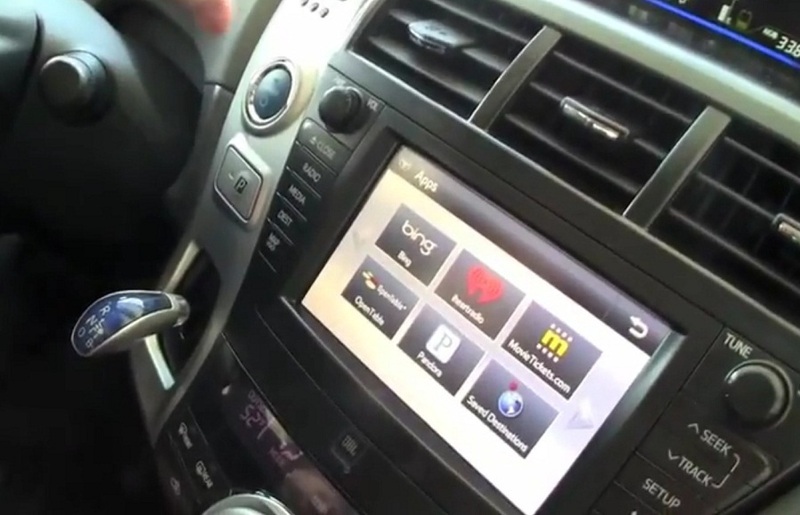 Toyota is going for gadgets with its new Prius, and we're talking smartphone gadgets here. The idea is that you will be able to use your phone's apps to improve the car's usability. Unfortunately, what Toyota have done is to slap a video touchscreen right in the middle of the centre console, and the driver (presumably the driver) uses this touch-screen to interact with their app gadgets. Such a configuration is obviously dangerous, and is another example of car designers being allowed to come up with stupid features that actively endanger other road users. There is concern that the humble car radio can take the driver's attention away from the road for too long, so having an interactive screen in full view is really such a bad idea, and no car buyer should be mad enough to buy a car like this.